Trans-Tasman sporting relations reached a new low at the Melbourne Cricket Ground when Australian captain Greg Chappell ordered his brother Trevor to bowl the final delivery of a 50-over cricket international against New Zealand underarm (along the ground). The visitors needed a six just to tie the match – a tall order for no. 10 batsman Brian McKechnie at the world’s biggest cricket ground. But the stakes were high: a tie would prolong the series. This possibility was removed by the underarm ball, a delivery then legal but contrary to the spirit of the game. McKechnie blocked it before throwing his bat away in disgust. The real turning point of the match had also involved Greg Chappell. Having scored 52, he was caught in the outfield by Martin Snedden. Chappell refused to take Snedden’s word for it and the umpires disallowed the catch. Chappell went on to make 90 as the Australians compiled 235/4. To add to New Zealanders’ chagrin, the underarm delivery should have been called a no-ball. In the excitement of the moment, the Australian field had been set incorrectly. 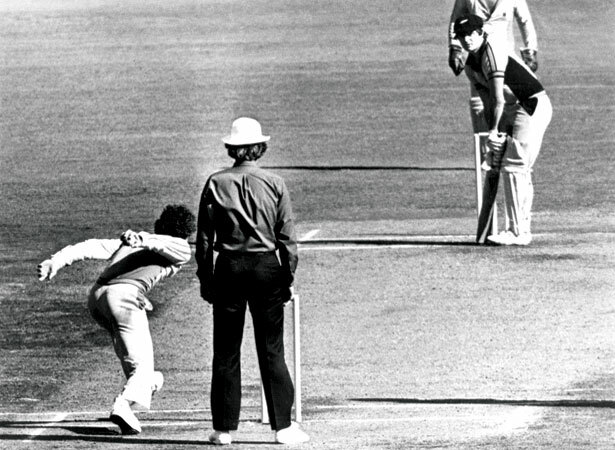 We have 4 biographies, 6 articles, related to Trevor Chappell bowls underarm.